Last week, I wrote about China’s possible responses to the U.S. decision to indict five PLA officers on charges of economic espionage. Now it seems clear that China is adopting a strategy of economic retribution, striking at U.S. technological firms over security concerns. The first target was Microsoft, as China announced that government offices were forbidden from running the company’s Windows 8 operating system. The decision was justified based on security concerns, but many saw it as pushback against Washington’s decision to aggressively pursue hacking charges against the PLA. Beijing announced that it would be reviewing technology companies operating within China, a hint that further bans could be on the horizon. Companies that fail the review will not be allowed to sell into the Chinese market. On Tuesday, Bloomberg reported that the Chinese government is looking to phase out the use of IBM servers in Chinese banks, again citing security concerns as the rationale. According to the report, the People’s Bank of China and China’s Ministry of Finance are asking domestic banks to replace IBM servers with a domestic brand. A spokesman from IBM said the company was unaware of any such policy. Cisco has also come under fire, with an article from China Youth Daily attacking the U.S. firm as an accomplice in NSA spying operations. The article accused Cisco of creating “backdoors” in its routers to aid in government espionage — a similar accusation to those made against Huawei when it was seeking to break into the U.S. market. At the same time, Xinhua published a lengthy report from China’s Internet Media Research Center entitled “The United States’ Global Surveillance Record.” The report essentially gathered together all the allegations of NSA spying that have emerged from the Snowden leaks and demanded that the U.S. “explain its surveillance activities, cease spying operations that seriously infringe upon human rights and stop creating tension and hostility in global cyber space.” U.S. companies Microsoft, Yahoo, Google, Facebook, PalTalk, YouTube, Skype, AOL, Apple, and RSA (a U.S. computer security firm) are all specifically listed as having cooperated with the NSA — making them the next potential targets for a government ban (assuming they aren’t already). The leaks from Edward Snowden provide a serious basis for security concerns for China, which is naturally one of the major targets of U.S. espionage. However, the timing of these recent moves against U.S. firms is not a coincidence. 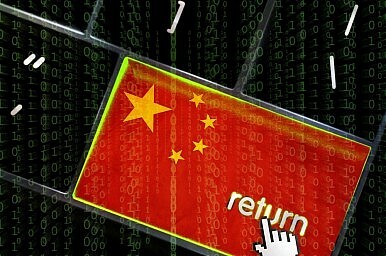 China is pushing back in a major way against the Obama administration’s decision to play hardball on cyber espionage issues. The message is clear: two can play at that game. If the U.S. continues trying to embarrass China over cyber espionage charges, there will be economic consequences for U.S. firms. Obama administration officials say that the decision to publicly charge five PLA officers with hacking and economic espionage was part of a broader campaign to halt cyberattacks targeting U.S. businesses. Anonymous past and present administration officials told the Washington Post that the move was a calculated one, made because there had been little progress in diplomatic talks. According to these sources, the negative reaction from Beijing was anticipated. “I don’t think that there was any way for us to proceed and show our seriousness without experiencing some friction in the [U.S.-China] relationship,” the Post cited one official as saying. However, the Financial Times goes further, suggesting that the announcement of the indictment “was calculated to cause offense in China,” especially the decision to create “Wanted” posters with pictures of the PLA officers. The announcement also came soon after the PLA’s Chief of the General Staff, General Fang Fenghui, visited the U.S. According to CSIS expert Christopher Johnson, Fang wasn’t given advance notice about the indictments. “This is a huge loss of face for Fang Fenghui,” Johnson told FT. Apparently the Obama administration was not only willing to risk a strong Chinese response, but went out of its way to provoke one in order to demonstrate its resolve in fighting against cyber espionage. But if the stated purpose is to help protect U.S. businesses from losses, the move is likely to backfire. Chinese officials had already paid lip service to the idea of banning U.S. firms with links to NSA espionage. The indictment against PLA officers may have given Beijing the final impetus it needed to begin to act on those ideas.